It’s no real secret that if you’re a blogger, you’ll be looking for new ways to get traffic and business onto your blog, and Instagram should not be overlooked. 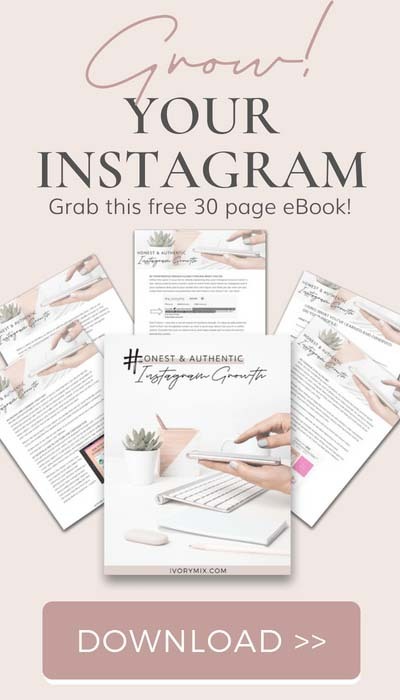 Many very successful bloggers-turned-business-owners have leveraged and used Instagram in order to connect with new customers and grow their businesses. 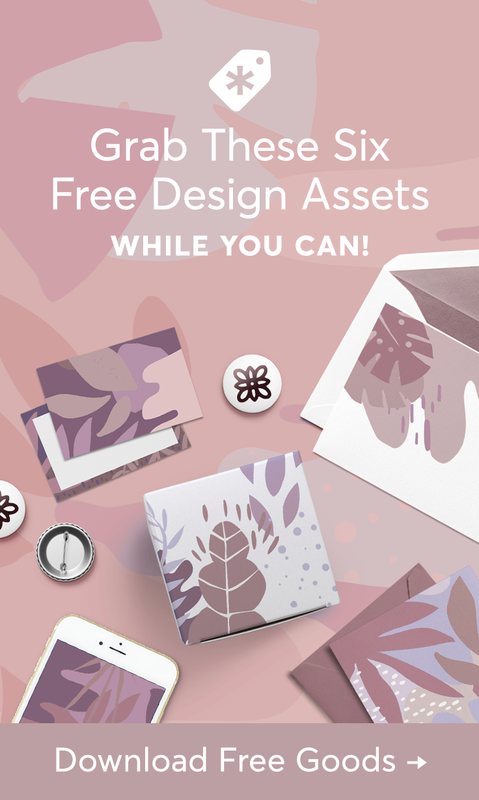 Besides learning how to style flat lays for Instagram growth here in this blog posts, many new bloggers don’t quite get how someone might go about other ways of gaining traffic and business from Instagram. So, in order to help bloggers create another brand experience on social media, I’ve outlined the 10 things that successful blogs do on Instagram, for business. One of the first interactions people have with you and your business on Instagram is your name and headline. That’s why many savvy small business owners utilize these spaces for unique ways to let new followers know exactly what they do and what they’re all about. There’s a tendency for small and growing business owners to use their first and last names, but if your business isn’t named after yourself, you most likely should include the name of your business in your headline instead. This will help with your brand recognition. It would be great if people associate your name with your business’s name, but in reality, this takes time to establish. So, it’s a safer approach to just go ahead and put your business name in your headline. Take Rachel Riltop from the Confused Millennial for instance. She’s made sure her profile clearly explains who she is and what she is all about. 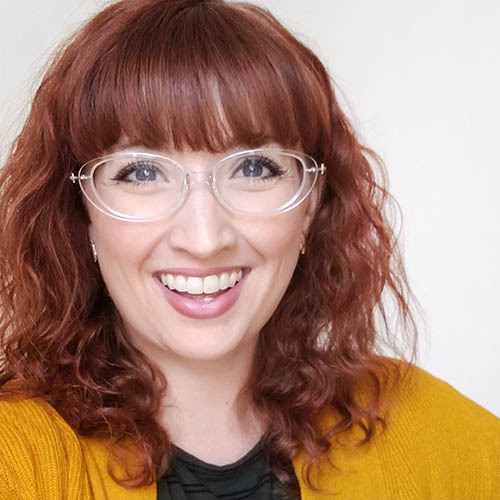 She is, in fact, a millennial, but she is also a business coach. This is her purpose and it’s explained in her profile description. Utilizing this space by clearly explaining why your Instagram account exists is key. 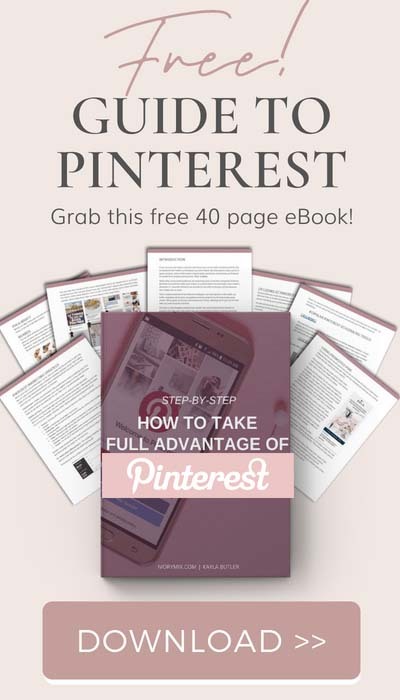 Savvy small business owners want to reach their ideal clients on Instagram and if they get to your profile and can’t figure out what you do, how can you make that connection and potential sale with them? Don’t worry – it’s not all meant for business though. It’s okay to add some fun stuff in their too though – like a quick quip about how you’re a coffee addict is just an added bonus and helps people get to know the person behind the scenes. What if you did the above two steps and skipped sharing a link to your website or your product? You’d be wasting your time! It’s pretty important to provide a call to action to your followers. In the examples below, you’ll see that this could be as simple as a link to your latest blog post or a link to a product or challenge you are currently offering. Maybe your link is a link to your newsletter subscription. An interesting idea is to create a custom landing page specifically curated for your Instagram followers. Imagine how awesome that would be? Either way, you tackle this area of your profile, be sure to send your followers somewhere. It’s true that most businesses and blogs that do really well stick to one post or as many as three posts a day. That’s it. It’s not like twitter Pinterest where you get to post 20 – 100 times a day without any issues. Instagram is a more intimate social media and if you’re posting more than 3 times, people can get turned off quickly. That said, staying current with your followers feeds is important so that they get used to seeing you around, recognizing you and what you’re all about. Once they start seeing a post from you each day, they’ll begin to recognize you and hopefully start loving your posts. When that happens, they’ll begin to warm up to other ideas like purchasing your products and services. However, posting any more than 3 times a day is just offensive on Instagram. If you do plan to post as much as 3 times a day, you shouldn’t be posting them back to back either. It would be ideal and less offensive to your followers if you staggered them throughout the day. Morning, noon, and night would suffice. Even still, just posting once a day seems to be a perfect number for most savvy business owners and they manage to get great results from just one! When you see coordinating colors anywhere, you instantly feel better and the world suddenly seems at peace (ok, a bit of drama never killed anyone!). 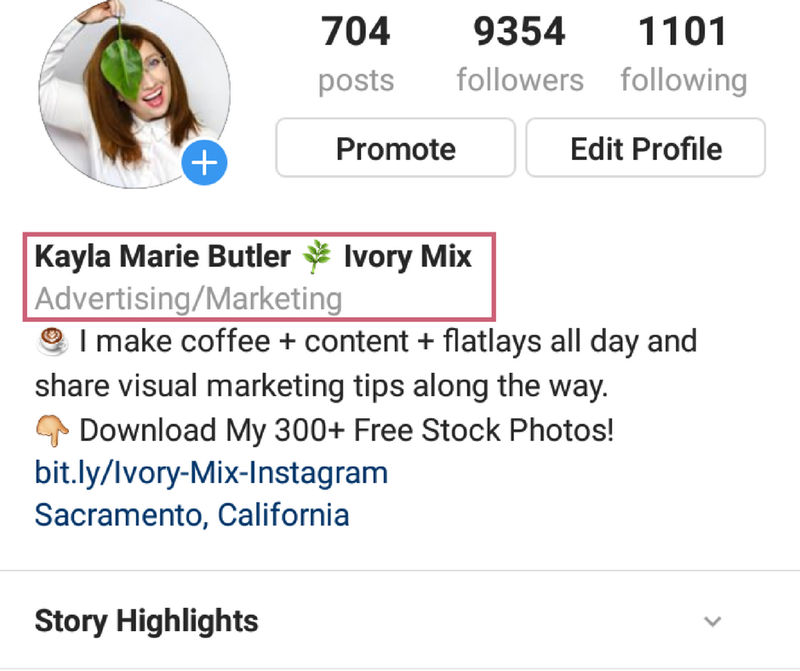 So, having a cohesive style & colors on your Instagram feed (including the same profile picture you use on all social media) is a good idea and will help your audience see that you must really know your stuff and care about your blog. Really though, these feelings of happiness and calm are why having a color coordinated and aesthetically pleasing Instagram feed is common among small businesses that do well on Instagram. It-in-itself has value and here’s why. ♥ Followers and outsiders instantly associate your brand with those colors. ♥ Your brand and business will have an elevated experience on social media. 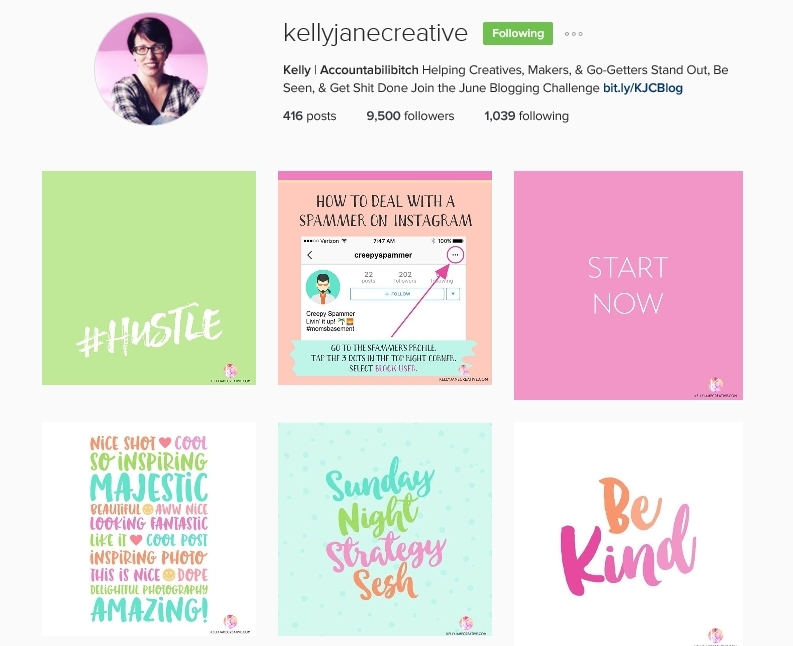 ♥ Your words and actions are instantly validated by the professional appearance of your Instagram (people notice when things are well thought out and cared for – and they like you more for it) Check out Kelly Jane Creative’s Instagram to see what I mean! 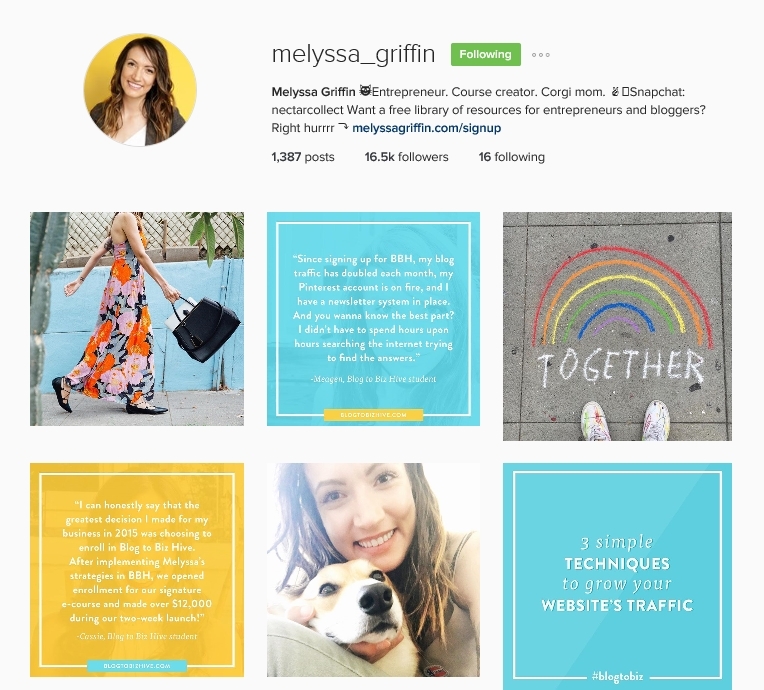 As you can see in Melyssa’s Instagram, she’s been using her brand colors, but she also throws colorful lifestyle photos into her mix of Instagram posts. This allows for a new experience for followers every day. It would be rather boring if someone posted the same looking image or quote every day, and for some brands, that might work well, but most successful brands on Instagram that I’ve seen have varied content and images. 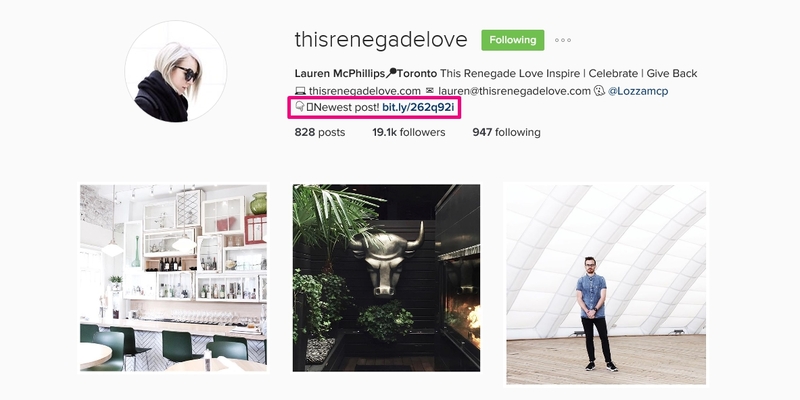 I’m sure you’re familiar with hashtags, but the most successful brands on Instagram don’t just use any hashtags. They usually pull from a list of hashtags that are specific to their type of business. So, if you want to find like-minded people and new followers, the best advice I can give you is find and use hashtags that are specific to the image you’re posting AND your brand. For instance, business coach Cyndie has this super adorable headshot of hers where she is wearing a denim shirt. 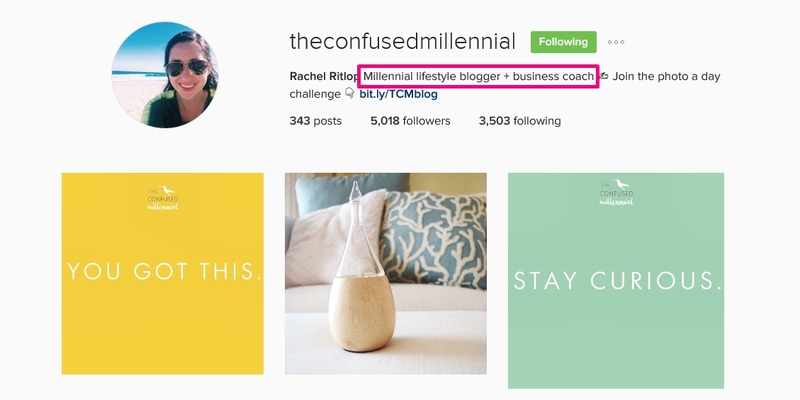 She’s posted many popular lifestyle hashtags AND hashtags for things that relate to her business (coaching). Changing up the hashtags you use will help you reach new people all the time. If you consistently use the same hashtags and never change them, you’ll probably hit a wall and not gain a ton of new followers for long stretches of time. What’s the lesson here? If you search out people who use the same hashtags you’re using, you should like their photos and leave them friendly and helpful comments. People want to be noticed and liked. If you’re genuine about your interactions, then you just may gain yourself a new follower. Let’s go back to that reason why you’re on Instagram to begin with. If you’re a business and a brand looking for more clients, then you should probably include quality content within your captions. Surprisingly, you have a lot of room to write quite a bit, so make it count. Many businesses, brands, and bloggers aim to help others and inform their followers. Other times, they are giving behind the scenes looks at their business. There are few things that tell stories better than photos. So, use it! Share behind the scenes of your brand and keep people engaged in the making of your products. Selling your products is easy when you PULL your ideal clients into your brand’s story. As soon as they feel connected to your story, they’ll be more compelled to engage with and support you. 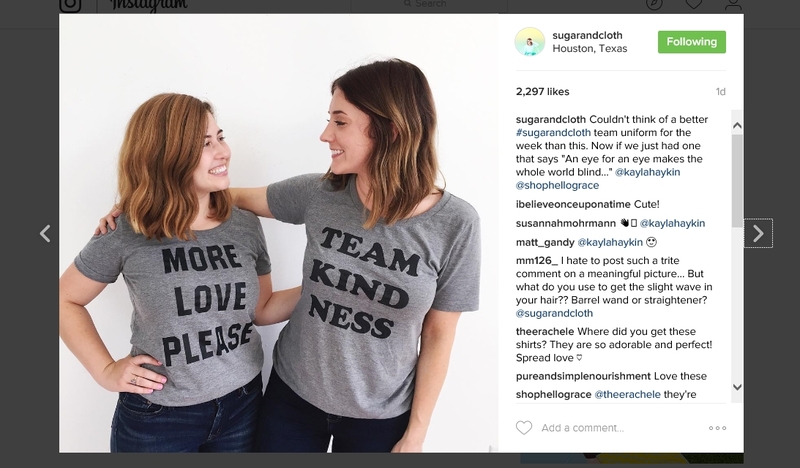 So, use that marketing story (like this one from Sugar and Cloth )and use your behind the scene images and creative process to grow your Instagram and business closer to your customers. The more you pay attention to your branding, hashtags, and making sure to engage with followers – the more you are likely to make a huge impact on your business using Instagram. Don’t be afraid to experiment with ideas, but always remember the end goal with every single image upload and caption written. If the end goal is to sell more products, you should second-guess uploading bad images. Thank you very much, I learned a lot from your recommendations. As always very useful. I’ve changed my username as much as I could. Instagram is pretty strict. But all very useful. I love your posts because I can follow along step-by-step and make the changes while I read. I am a fan. I’ve got a lot of work to do on my Instagram! I don’t like the medium so I need to trade in my bad attitude and get cooking on these tips! I pinned so I can go back later and review. All of these are so true!!! 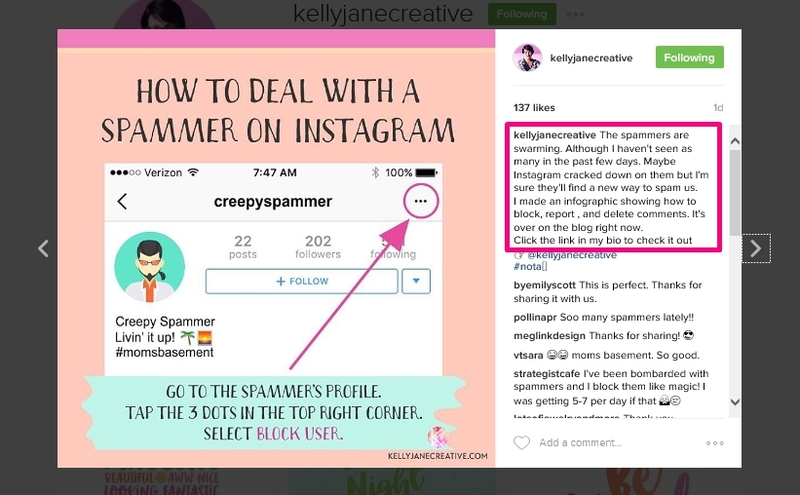 Love that you laid them all out like this, because it’s also a guide to making your Instagram even better! This is pure gold for a starter like me! Very well written. Easy to follow for a newb like me. These are amazing tips!! I will have to give them a try especially the spammer one! I am going to work through this list with my own Instagram account. It is my least developed social media platform, because I wasn’t sure how to integrate it into what I do. This will definitely help me get started. Thanks Kayla! Wow! This is so easy to understand, thank you 🙂 I am new to instagram but surprisingly already doing some of the pointers in your post, thank goodness! But there are tips here that I had no clue about. Going to implement right away. Thanks for these tips! I’ve been working hard to grow my instagram and it feels great to have some direction. You are welcome! I know it can all be so overwhelming. These tips are so on point! My favorite tip to share is to make sure you’re making it clear and easy for people to know what you do and how you help them! It’s amazing how many accounts you’ll come across yet you don’t really even know what they do. It makes a HUGE difference to get people to stick around! It’s so true. Making it clear in your bio – heck – your first sentence! Great post, I used to just use Instagram for personal stuff but I’m trying to use it for my blog now so I have to make some adjustments. This is a great list! I’ve been just starting back up with IG after a few month hiatus and have been trying to come up with more things to post. The examples and ideas you’ve given are helping get the creative juices flowing! Thanks! These are such great tips! I definitely need to be more consistent and create a better call to action. Great post! I am trying to step up my instagram game for my blog and I’m going to try these tips to help out! Thank you. Ooh, lovely! I didn’t realize a lot of that stuff (especially the call to action bit, I’ve never been good at remembering that), I learned a lot. Great post!